Vibrant, refreshing green topaz (colour enhanced) and banded fluorite. Gorgeous combo. 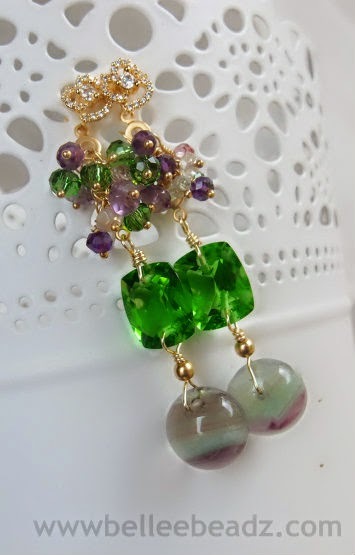 A burst of rondelles featuring pink and purple amethyst and parrot green quartz.